McDonald’s Monopoly 2012 – Free Codes! McDonald’s Monopoly season is upon us once again! 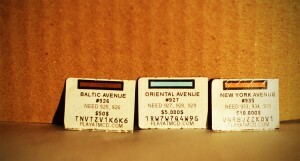 And like we’ve done in many years past, we are giving away free McDonald’s Monopoly codes for 2012! Join us in the comments below as we share codes, discuss prizes, strategies, and other Monopoly news! I will be donating every piece on this page on a first-come, first-serve basis. And just like last year, I’m hoping to trigger a spark of generosity, and have some other generous folks to follow suit! Codes can be found on: Medium fountain drinks, medium and large McCafe Iced and blended drinks, medium OJs, hash browns, Big Macs, 10-piece nuggets, Egg McMuffin, Sausage McMuffin, Oatmeal, Fish sandwich. You get two pieces if you buy: 20-piece nugget, large fries. Prizes in 2012 include some good ones: US Soccer Family Trips, Beaches Resort Trips, Cash prizes, a FIAT 500, NHL prizes, lots of RedBox DVD rentals, and of course, lots of MyCokeRewards point bundles. Now let’s get down to business: the codes! Comments are held for moderation, which means you see them only after they get approved. This helps cut back on the spam. And while we have a very friendly environment here, I usually don’t allow begging, complaining, or anything that doesn’t relate in someway to McDonald’s Monopoly to appear here. Author vvhitekid2Posted on September 26, 2012 October 9, 2012 Categories Contests, Customer Loyalty Programs, McDonald's, McDonald's MonopolyTags Free monopoly codes, free monopoly pieces, McDonald's Monopoly, mcdonalds monopoly 2012, monopoly codes146 Comments on McDonald’s Monopoly 2012 – Free Codes! McDonald’s Monopoly 2011 – Free Codes! McDonald’s Monopoly is back for 2011, and you know what that means around here… more free codes for everyone! 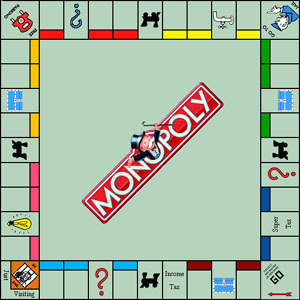 I will be donating any and all unused Monopoly codes here on this page. And as we’ve seen in the past, quite a few other folks usually join in the fun along with me. So check this page a few times a day to see if you can score some points, or feel free to add to the discussion of the McDonalds Monopoly game and prizes. Update (9/20): The pre-promotion started today (9/20), where if you go to PlayAtMcD.com, you can get a jump start on getting registered and entering a code for a chance at $10,000. This code that can be found on the McD’s bags – or I can just tell it to you: “MCDFORREAL” – Go enter it now! Update (9/24): Some folks are getting codes early! I checked my local McD’s and did not find them to be using any of the Monopoly stuff yet, but you might want to check yours! This pre-promo thing goes from 9/20 to 9/26. You can start entering real codes on Tuesday, Sept 27. The codes will be on food items until 10/24/2011 (or until supplies last), but you have until 11/5 to enter the codes online. Codes can be found on: Big Mac (2 peels), Nuggets (4 peels on 20 piece, 2 on the 10 piece), Large Fries (4 peels), medium drinks (2 peels), McCafe drinks (2 peels), my favorite: Filet-o-Fish (2 peels). And for breakfast: hash browns, Egg McMuffin, and Oatmeal all have them (2 peels each). Some good prizes this year including MyCokeRewards Codes, a bunch of EA games prizes (video games), Kinect for Xbox 360, gift cards, a trip to London, the Caribbean, or Chicago, a Nissan Z Coupe, and a Nissan Leaf. Very cool! Comments are held for moderation, which means you see them only after I approve. This helps cut back on the spam. And while we have a very friendly environment here, I usually don’t allow begging, complaining, or anything that doesn’t relate in someway to McDonald’s Monopoly to appear here. And finally, if you WIN something, POST IT! Everyone loves hearing about the big wins! Author vvhitekid2Posted on September 20, 2011 October 4, 2011 Categories Customer Loyalty Programs, Free Stuff, McDonald's, McDonald's MonopolyTags Free Codes, free mcdonalds codes, Free monopoly codes, McDonald's, McDonald's Monopoly, mcdonalds monopoly 2011, mcdonalds monopoly codes, monopoly 2011330 Comments on McDonald’s Monopoly 2011 – Free Codes! McDonald’s Monopoly 2009 – Free codes! Free McDonald’s Monopoly game pieces for everyone! Yes, it is that time again! McDonald’s Monopoly is back and our code-sharing community is ready to go! I will be donating all of my unused McDonald’s Monopoly codes (found on the game stamps) on this page, and if this is anything like last year’s McDonald’s Monopoly page, I will be joined by plenty of other generous folks. Feel free to discuss the McDonald’s Monopoly program, the prizes, the gameboard, or just stick around and see if you can snag some codes from the folks that like to share them! It looks like McDonald’s is mixing it up a bit this year and they have included a daily sweepstakes in collaboration with NBC. They are going to do an on-air dice rolling every night on shows like “The Jay Leno” show or Sunday Night Football. If you land on Chance, the on-air dice roll is for you! If they roll a double-6 on air, you will receive $1,000,000. All other dice combinations result in a prize of $10,000 for that player. Author vvhitekid2Posted on September 22, 2009 October 4, 2011 Categories Contests, Customer Loyalty Programs, Free Stuff, McDonald's, McDonald's MonopolyTags 2009, codes, contest, game pieces, McDonald's, McDonald's Monopoly, Monopoly418 Comments on McDonald’s Monopoly 2009 – Free codes! I eat more McDonald’s than I probably should, but I don’t use these Monopoly codes. I plan on posting the codes here as I get them. I foresee this also turning into a discussion about the contest, the prizes, the odds of winning, and other methods of collecting the Monopoly codes. And if this turns out anything like previous posts of similar nature, there will be plenty of generous folks to help in the sharing in no time! Off to Mickey D’s to get my first round of Monopoly codes! The game ends on 11/17/08, so you better get going too! UPDATE: This is the page for last year’s game. If you’d like to get codes for or discuss this year’s game, see the 2009 McDonald’s Monopoly page. Thanks!